Get majestic payouts on The Royals Go Camping Slots! Play this marvellous game and have a great time with features such as Free Spins, Pick Me, Multipliers and Expanding Wilds! 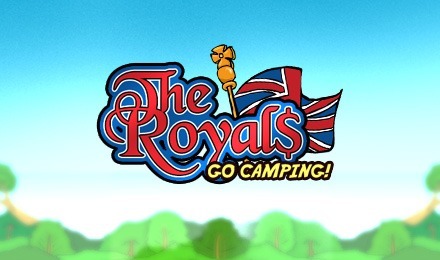 The British royal family is out for a camping trip on the 5 reels and 30 payline slot game The Royals Go Camping. The game is packed with Bonuses, Scatters and Wilds and a rather sarcastic teasing. Full of animals and birds, the royals will make most of this sunny day filled with folk music. Enjoy different symbols that award one of the three bonus features. The bonus features are the Pick Me Prize, Expanding Wilds, Multipliers and Free Spins. Land five of the wild symbols and receive a 10,000x multiplier!